When I was a vegetarian, I made a lot of dishes with “fake meat,” as I liked to call it. 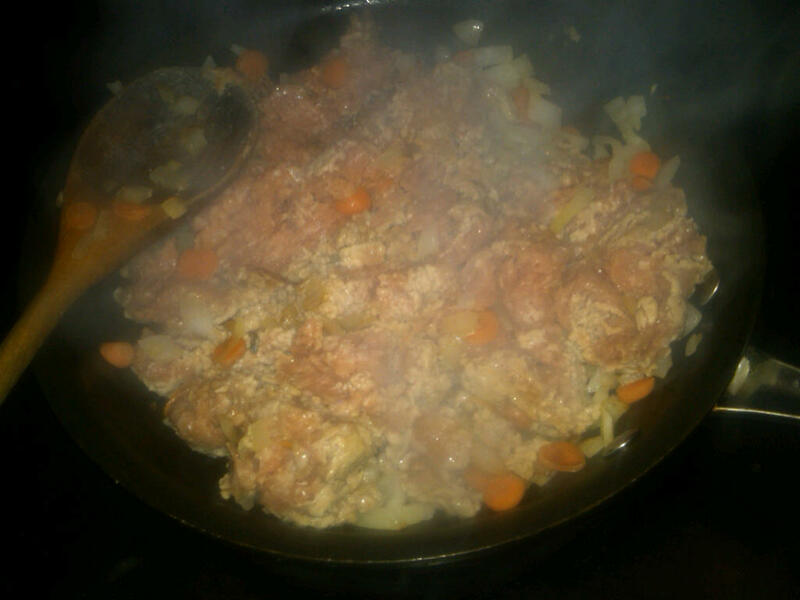 Boca or Morning Star crumbles were a great substitute for ground beef or turkey as long as you appreciated it for its own flavor and texture rather than looking for a real meaty flavor. My very loving then-boyfriend (and current husband) patiently and hungrily ate all of my creations from stuffed shells to shephard’s pie–all incorporating some form of “fake meat.” I think he even liked most of them. Since renewing my meat-eating lifestyle, we’ve made over some of our vegetarian classics, carnivore-style. Zach’s famous stuffed peppers and my shepherd’s pie were two meatless mainstays that would transition nicely to our meatier meals. 2. Saute the carrots, onions and garlic in the olive oil until soft. Add the turkey and saute until brown. 3. 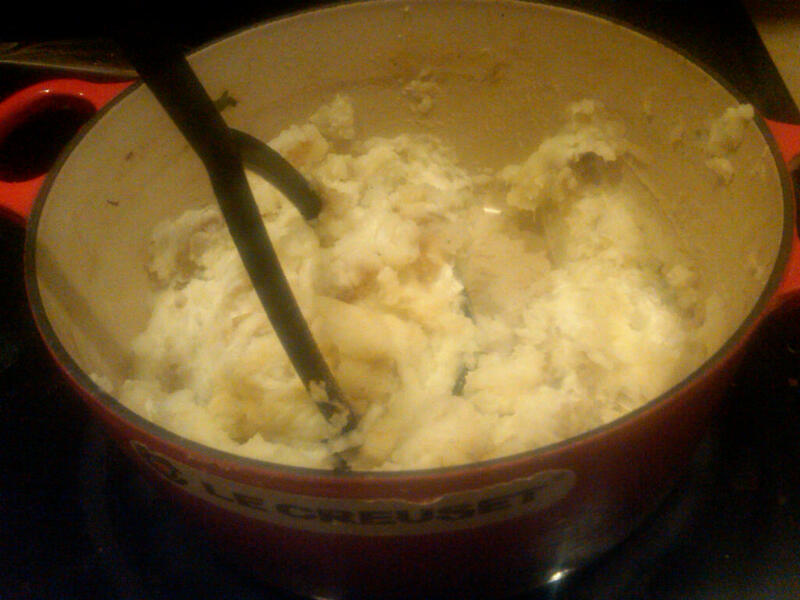 Meanwhile, prepare mashed potatoes. I was short on potatoes and usually have a little more. The potatoes are my favorite part. 4. 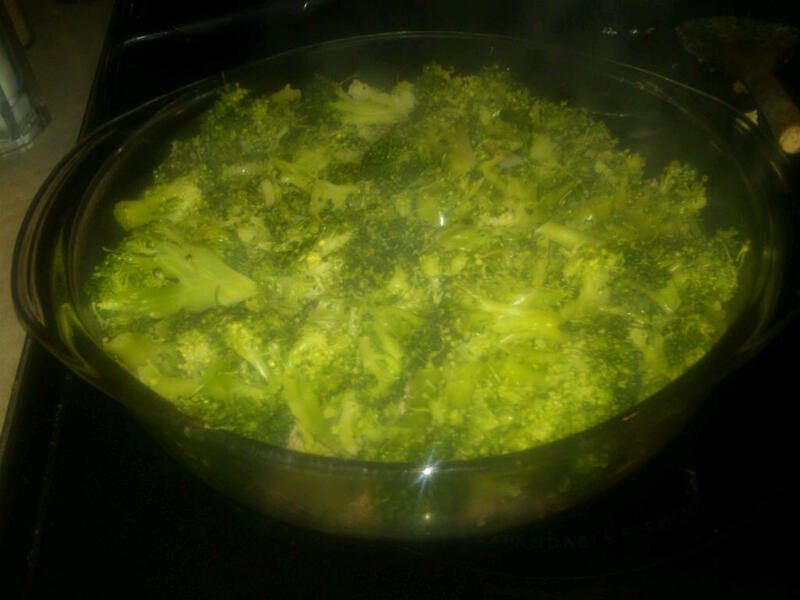 Steam the broccoli in the water until crisp tender. Be careful not to overcook as they will continue to cook in the cassserole. 5. Start your layering! Coat a dish (I like to use a round pyrex, but a smaller, rectangular shaped dish will do as well) with cooking spray and layer the meat into the bottom. 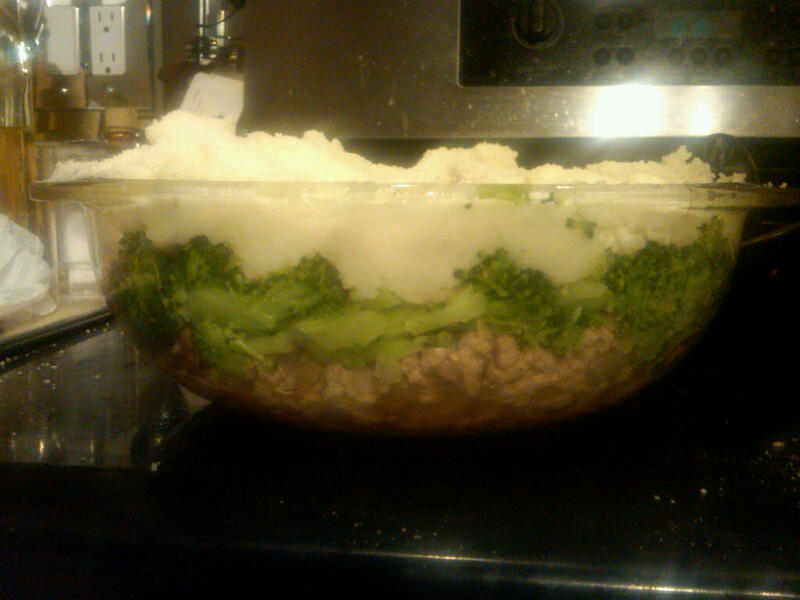 Follow with the broccoli and top it off with the mashed potatoes. Check out these pretty layers. Top with parmesan and bread crumbs, if you like a little crunch. Bake in the top third of the oven for 15 minutes or until the cheese gets brown and delicious. Then, if you’re like me, forget to take a picture of the finished product. Enjoy! I’m a huge fan of Shepherd’s Pie! I love the combination of all the different foods mixed into one bowl because there’s always a combination of sweet and salty that just goes together so well however I too am trying to become a vegetarian and I never thought to use Morning star products to substitute the actual meat. I also don’t think I’ve ever put broccoli or any huge vegetable in my shepherds pie, Its normally something small like carrots or something of that nature. So I think the next time I will try some new vegetables. Anyway, Looking at these pictures made me want to go home and make a shepherds pie myself.